We were lucky enough to attend the event — a privilege and bit of a novelty for a bunch of graphic designers like us — after being invited to design a commemorative book and exhibition to document this year’s nominees and the long history of the award. A very nice brief indeed. Like the stories from gathered past-winners at the Palace, research for our assignment provided an eccentric romp through the past half century of UK design history. Although flanked each year by a selection of industry heavyweights put forward by the country’s most highly-regarded design bodies, H.R.H. 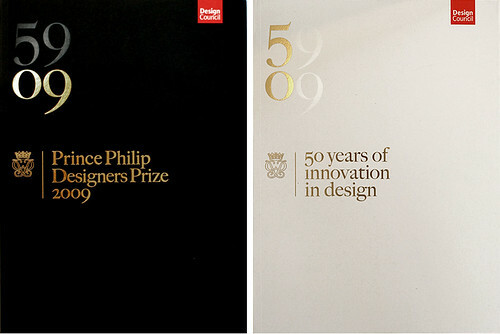 personally chairs the judging of the Prize, and there is no doubt that the selection of winning designers and designs are evidence of his own, well publicised concerns about the impact of design on society and business. Ritchie’s win demonstrates this and brings us up-to-date. Brompton is a shining beacon of British optimism and an entrepreneurial triumph in these times of globalisation, and economic doom-and-gloom. 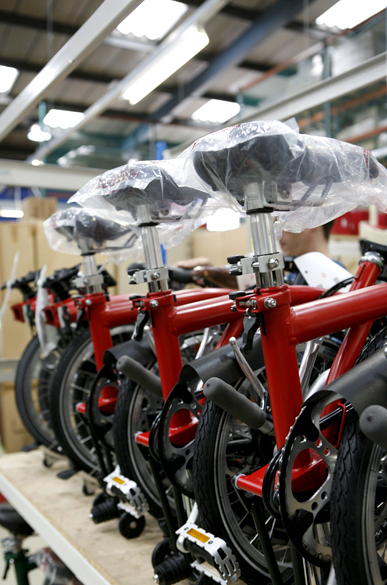 The bike and almost all of its parts are wholly manufactured in the UK. Only after each one is lovingly constructed (and checked, checked and checked again many times) is the famous folding logo affixed to the frame, and they are ready to be delivered from the company’s single factory in West London, just a few miles from where Ritchie built the first prototype in the cramped confines of his bedroom in the mid 1970s. 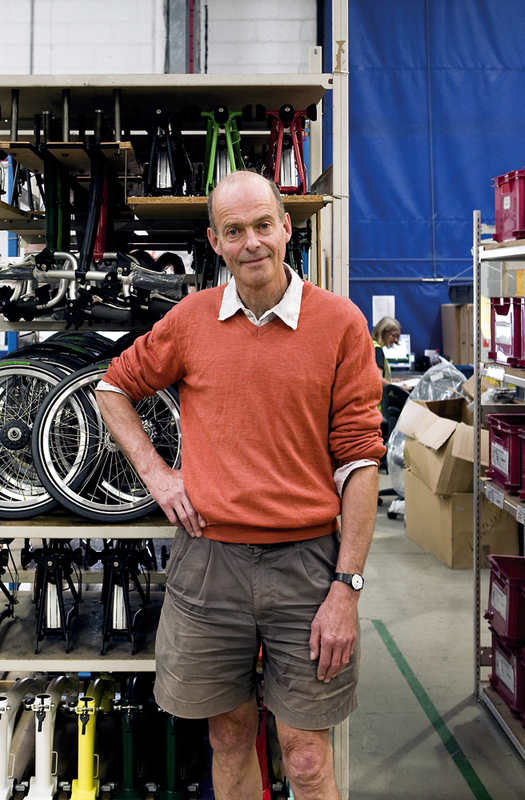 Today, 22,000 Bromptons are sold annually to enlightened customers around the world, with demand growing exponentially every year. The bike is also an icon of our more environmentally aware times. The preponderance of two wheels is in no greater evidence than from where I write this, in Shoreditch — that well-known corner of East London so popular with creative-types, sitting snugly (or smugly) beside the skyscrapers of the financial district next door. Designers are a sensitive bunch, and bikes are an eco-statement here. We’re trendy too, so they’re a fashion accessory as well — you can’t cross the street for fear of being startled by a fluorescent-coloured fixie. Like impossible vector graphics made physical, riders flit around the streets like beautifully crafted Flash animations. Next to them, the Brompton cuts quite a different silhouette. Its distinctive design makes a clear statement that there is more to this machine than deliberate aesthetic. Importantly, it’s a great, sturdy ride to boot, and popular with designers and non-designers alike. City slickers and Hoxtonites are drawn to the bike for practical elegance, rather than just elegant lines. So it can ride the same wave of the fashionable and socially conscious zeitgeist as the fixies, but the Brompton’s unmistakable form is almost wholly attributable to its Prize-winning innovation — the ingenious fold — a victory of function before form which has been applauded in the industry for helping to sell the two-wheeled dream to the unconverted, and promoting sustainable transport to the masses in the process. Like the (often fanatical) converted, Brompton are proud of this fact. 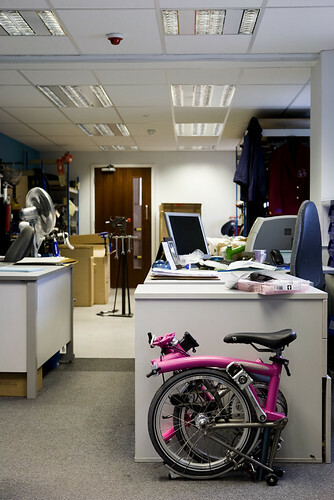 And for good reason too: while other styles appear and disappear, Brompton (and Ritchie), stoically pedal onward and upward, past their competitors, earning a hard-won place in design history as they go. Ben Brookbanks is a graphic designer and founder at MultiAdaptor. Portrait and Brompton photography by Christine Donnier-Valentin.